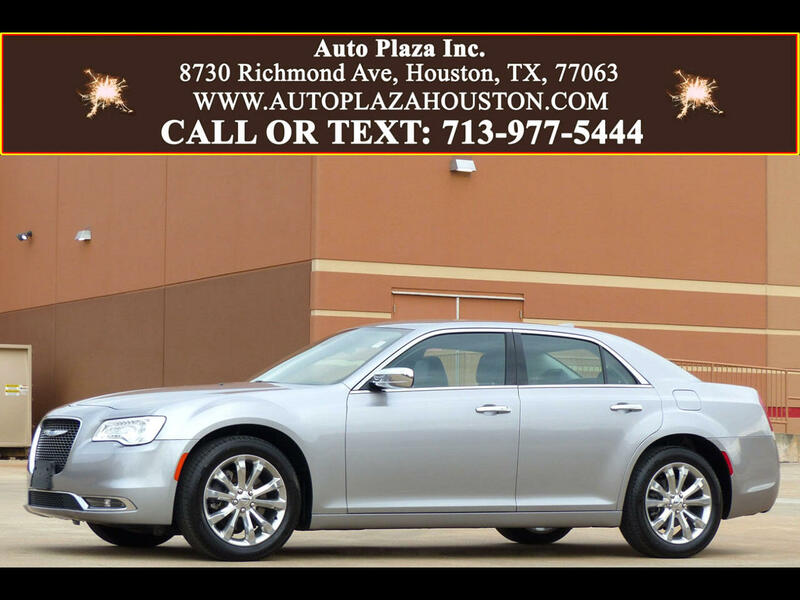 Used 2018 Chrysler 300 Limited AWD for Sale in HOUSTON TX 77063 Auto Plaza, Inc.
With Factory Bumper To Bumper Warranty Good Thru 12/11/2020 or 36K Miles!!! Auto Plaza proudly presents this Loaded ONE OWNER 2014 Chrysler 300 Limited AWD with a Slick 8 Speed Automatic Transmission. Loaded with Options this Chrysler Redefines Luxury and you can Expect this Ride to Fulfill All Your NEEDS and WANTS! Standard Options Include, 19" Alloy Wheels, RearView Camera, Push Button Start, Remote Start, Android Auto, Apple Car Play, USB Port, SD Card Reader, Uconnect Voice Command, Bluetooth Hands Free System, XM Radio/Travel/Traffic, 8.4inch Display Screen, CD/ DVD/ MP3 Player With Aux In, Power Cooled / Heated Leather Seats, Heated Rear Seats, Heated Steering Wheel, Remote Start Capable, 50 State Emissions, Brake Assist, Electronic Stability Control, Hill Start Assist, All Speed Traction Control, Power Heated Mirrors, Power Windows, Power Locks, and Much More! So Call Today to SCHEDULE A TEST DRIVE!!! CALL NOW!!! Financing Available.